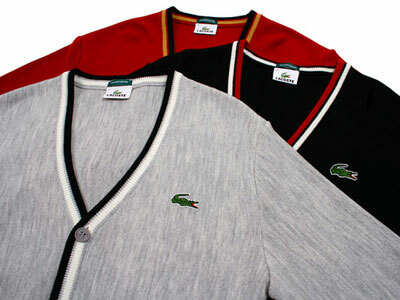 Good news if you happen to be doing some shopping in Japan in the near future, Lacost has teamed up with the Beauty & Youth label to produce these appropriately-named Lacoste x Beauty & Youth cardigans. A classic look, very much in that ‘college boy’ style and made of a fine wool with contrast stripes for the collar, seam and cuffs, as well as the classic Lacoste logo. Even if you can find one in Japan (or manage to order one online from the site below), we’re not talking cheap – expect to pay around £140.